The thing is, when you actually think about it, it's not funny. Given what's at stake, it's more like the opposite, like the first sign of the collapse of the United States as a global superpower. Twenty years from now, when we're all living like prehistory hominids and hunting rats with sticks, we'll probably look back at this moment as the beginning of the end. 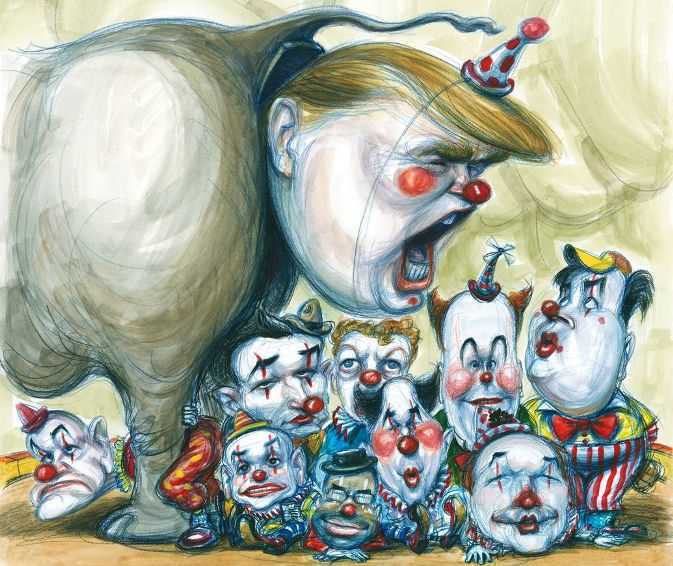 In the meantime, though, the race for the Republican Party presidential nomination sure seems funny. The event known around the world as hashtagGOPClownCar is improbable, colossal, spectacular and shocking; epic, monumental, heinous and disgusting. It's like watching 17 platypuses try to mount the queen of England. You can't tear your eyes away from it.